What’s worrying is that a business owner in India typically has no time to spend on managing risks, so you’re walking on a high-wire without a net. You could have a flourishing business today, and it could be gone tomorrow due to fire, theft, flooding, riots, accidents, equipment failure, etc. According to IBEF (India Brand Equity Foundation), India today produces less than 1.5% of the world’s total insurance premiums, and a big part of that is life insurance. But the size of India’s insurance market is forecasted to quadruple by 2020 to around $350-400 billion. We’re now getting close to that threshold between developed and developing nations where things like health and business insurance are commonplace instead of being exceptions. At the Evoma Business Centres in Bangalore, we’re way past that threshold with comprehensive business insurance. Member businesses located in our serviced offices can focus on growth, without being held back by worries and risk factors. Want to grow fast and eliminate risks? Come to Evoma. Serviced office space in Bangalore. We take care of your business. Let’s take a look at the types of business insurance and a list of Indian insurers that provide cover for SME and startup business risks. 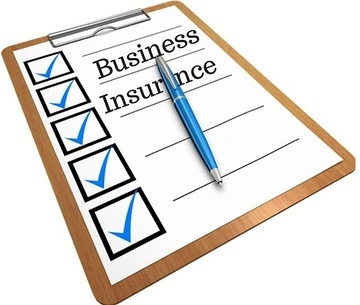 Look at the options, ask the listed insurers to give you business insurance quotes for a custom package. Compare the insurance quotes you get, and buy insurance policies to transfer risks that you cannot eliminate. Property insurance offers you protection against risks to your business property. This includes not just your premises (office, shop, building, factory, etc.) but also the assets and equipment, machinery, appliances, etc. that you have within. The risks that are typically covered under this policy include fire, earthquakes, flooding, burglaries, theft and vandalism, mechanical and electrical failure, property loss due to accidents, etc. Note that insurance cover for equipment and machinery failure does not include wear and tear, and loss of fuctionality after extensive usage over time. You may also seek cover for loss of income due to business disruption, and also loss on account of employee actions/malfesance, dishonest actions, etc. This type of business insurance provides you cover against legal liabilities arising due to personal injury and/or losses caused to employees, customers, business partners and other third-parties. This may cover accidents that occur on the premises, as well as incidents arising out of the use of the business products and/or services. Note that it’s important to ensure that your business insurance covers all your liability towards employees as per the Fatal Accidents Act 1855 and the Workmen’s Compensation Act 1923. – property insurance for goods being transported. A lot of this is not covered under your personal vehicle insurance policy. You don’t have to pick and choose specific types of business insurance, because most insurers offer packages that include all or most of the above. For instance, Bharti AXA has different SME Insurance policy packages for shops, offices and other businesses. Their Smartplan Office package provides comprehensive coverage in 13 sections for office premises, including property damage, legal liability and personal accidents. You can buy protection up to a maximum of Rs. 15 crores in sum insured for property damage. Their Smartplan Shop package likewise offers coverage for 12 sections, with a a maximum sum insured of Rs. 5 crores. Axis Bank also offers an insurance package for SMEs that covers material damage, business interruption, public liability, personal accidents, and workmen’s compensation. Tata AIG has a standard SME package that includes all the common insurance requirements that small and medium scale businesses in India have. Their cover includes loss and damages caused by fire, lightning, aircraft, riots and malicious damage, storms and flooding, damages and loss of business property caused by vehicles, etc. You can optionally add coverage for burglary, public liability, personal accident, machinery breakdown, etc. You can get business insurance quotes online from these and other insurers, or just call them or fill up an online form stating your requirements. Either way, it is advisable to compare insurance quotes from at least 3-5 different insurers before you buy business insurance. Want to insure your business against failure? Come to Evoma. Serviced office space in Bangalore. We take care of your business.